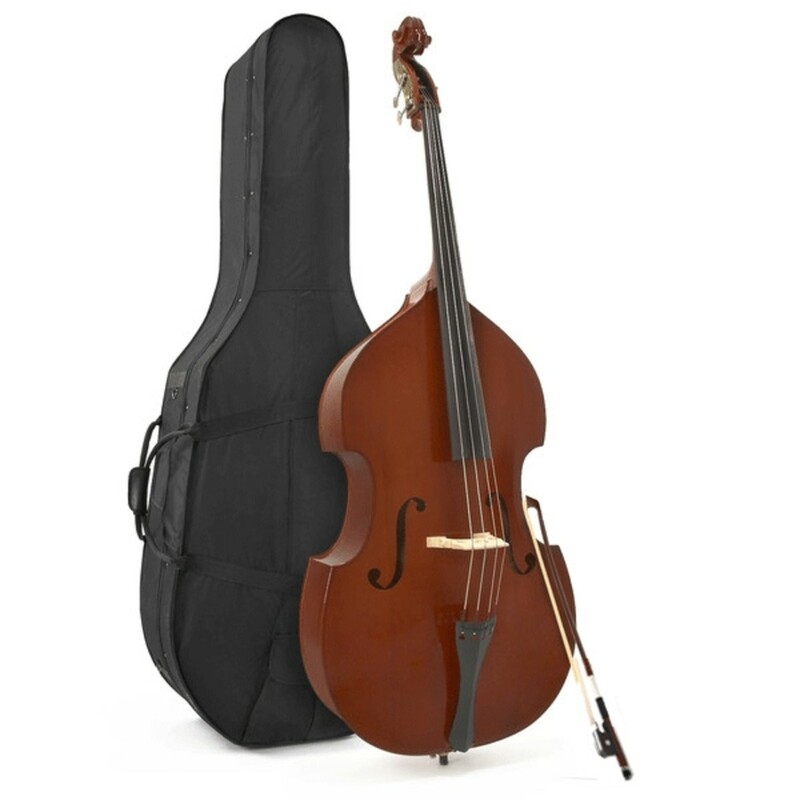 The Student 4/4 Orchestral Size Double Bass by Gear4music is a reliable and affordable instrument ideal for beginners. A laminated Spruce top and Basswood sides form a hard-wearing body that produces a rich, warm sound. Four geared brass tuners are helpful for fast and accurate set-up. The double bass includes a lightweight case, rosin and hardwood French bow so beginners have everything they need to start playing straight away. 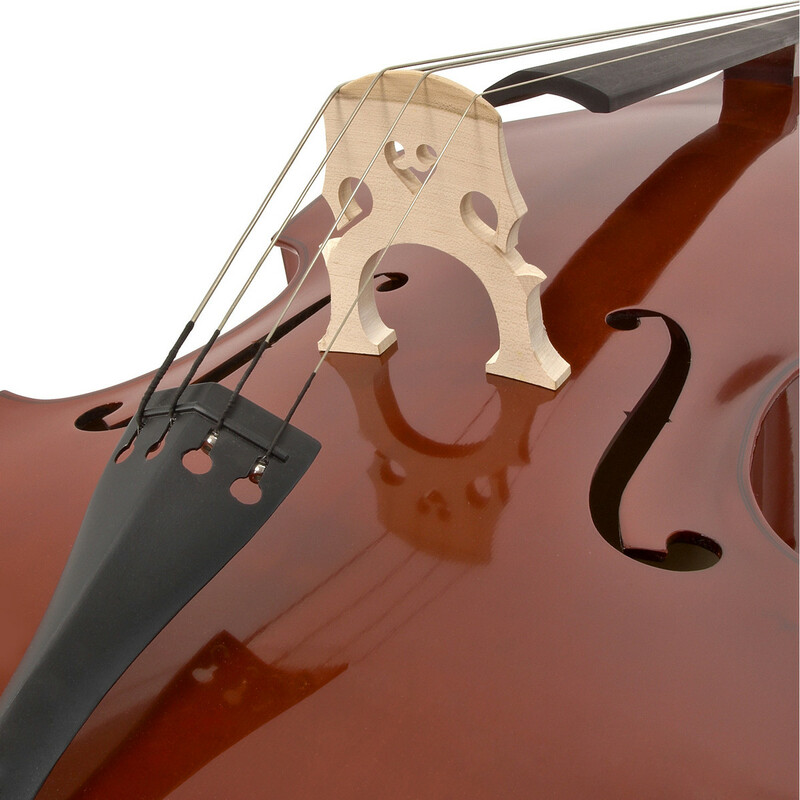 This student double bass is a sturdy and reliable instrument for beginners. The body is made from a varnished laminate Spruce top and Basswood back and sides which produce a lightweight, tough and flexible body. The inlaid purfling helps to protect against cracks forming at the edge of the instrument and allows the top to flex more freely. The Ebonized Hardwood fingerboard prevents the build-up of moisture, making the instrument long lasting. The fitted Maple bridge and metal tailpiece are hard wearing and durable fittings. Easy to use geared brass tuners on the head allow for simple and quick tuning. 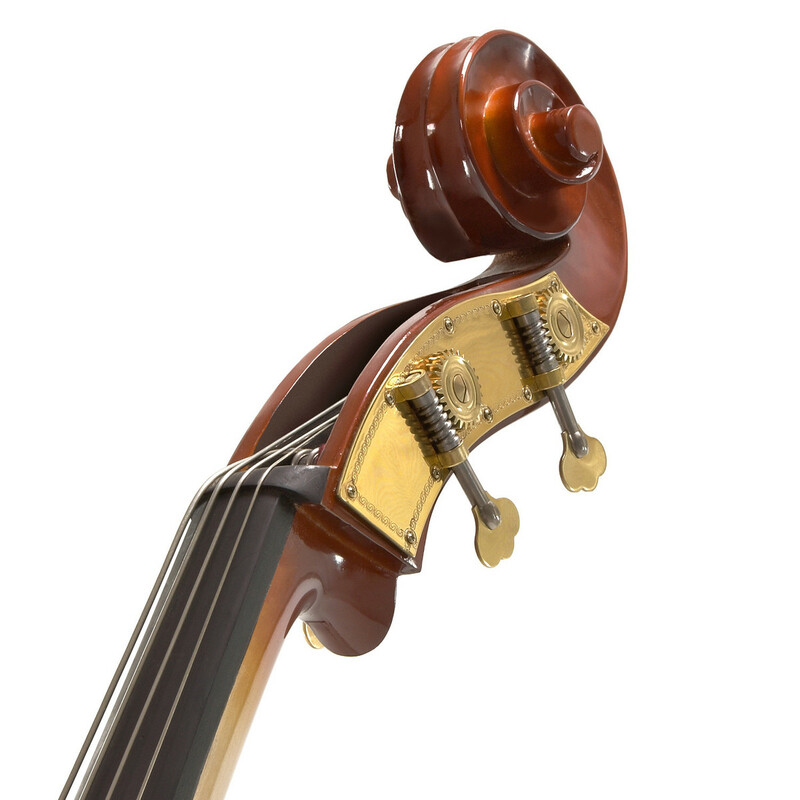 This double bass produces a warm and even sound throughout the registers. The steel core strings create a clear and crisp tone, allowing the beginner to concentrate on playing technique. Each string has silk wrappings to help students identify the notes and to create friction against the tuning pegs. 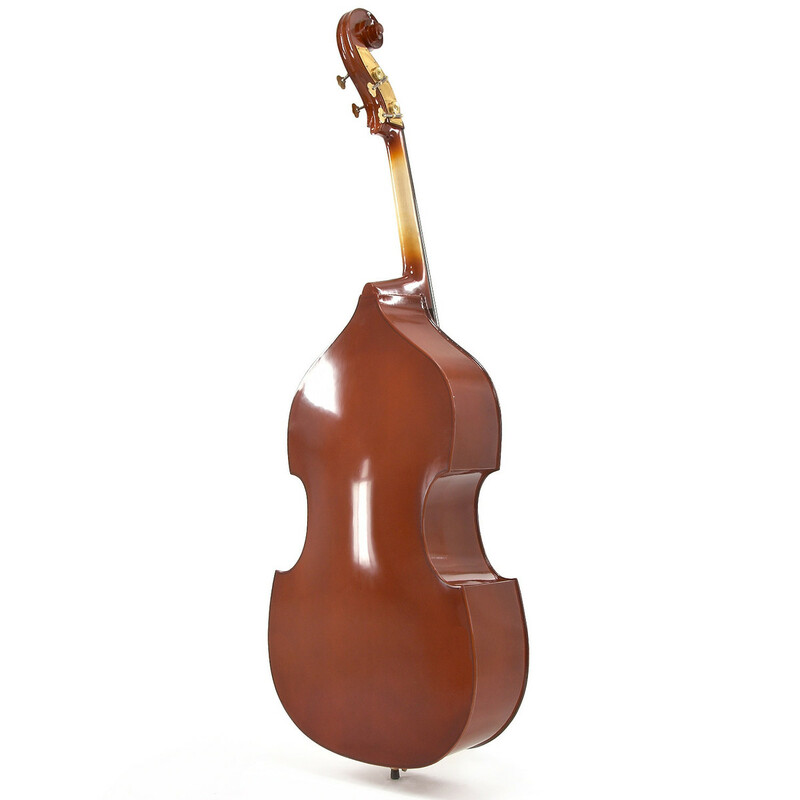 This orchestral double bass has a large resonant body that is suited to orchestral music. The fitted Maple bridge provides optimum height above the fingerboard making it suitable for both bowing and plucking. The bass comes with everything the beginner needs to get playing straight away. The bow, made from hardwood and hair, is easy to use and robust, meaning it will withstand the stresses of students learning proper bowing techniques. A half mounted frog and Ebony adjuster make the bow easy to use and comfortable to hold. 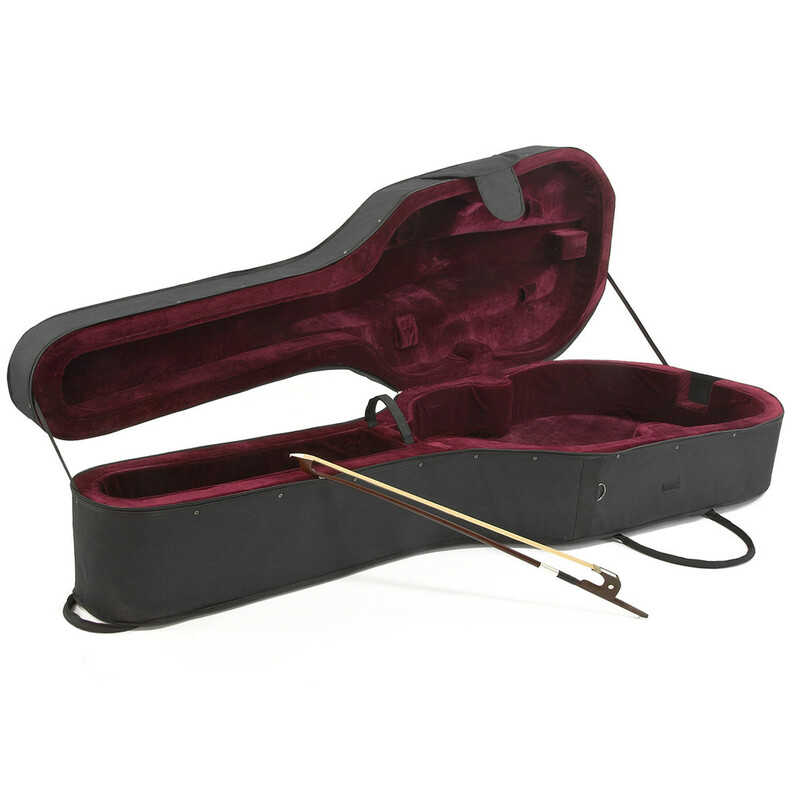 The canvas covered, case is easy to carry as well as providing protection for the instrument. Wheels on the bottom mean it can be rolled around and shoulder straps mean it can be put on your back with ease. Pockets both inside and out make it easy to store the included rosin and accessories.